MS is one of several nervous system diseases. Besides multiple sclerosis, check out the following list. How many have you heard of? Or better still, how many can you pronounce? I'm having a bit of trouble with that myself, but here's the list. Give it a tray. This is a pretty daunting list, as I'm sure you will agree, and unfortunately, there are many more popping up everyday. If you categorize the list of things that can go wrong with the nervous system, there would be five different categories. Multiple sclerosis is in the inflammation category of nervous system diseases. Another in this same category is Guillain-Barre syndrome which affects the peripheral nervous system. This inflammation causes an immune response (demyelination) to ones own tissues, in this case the nerves, just as multiple sclerosis does. 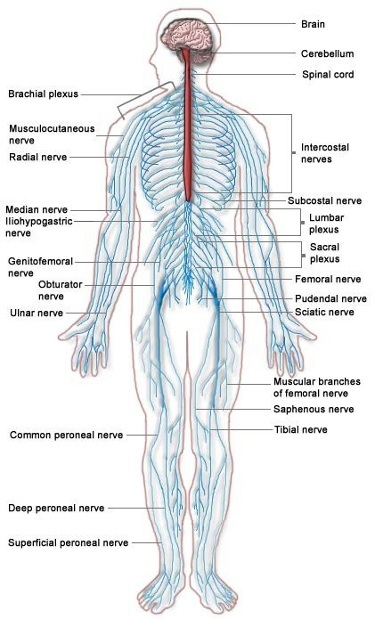 More often the nerves are damaged as a result of something happening to one of your other organs. This can be the heart, lungs, or the liver. Less often the damage occurs to the nerve itself. This can be the result of some type of infection. More and more evidence is pointing to the fact that infections are thought to be one of the leading causes of multiple sclerosis. And once you have MS, you should do everything in your power to avoid infections of any kind because of your compromised immune system. Whenever Cir gets one, (which we try diligently to keep him from getting), everything slows down and he gets weaker. 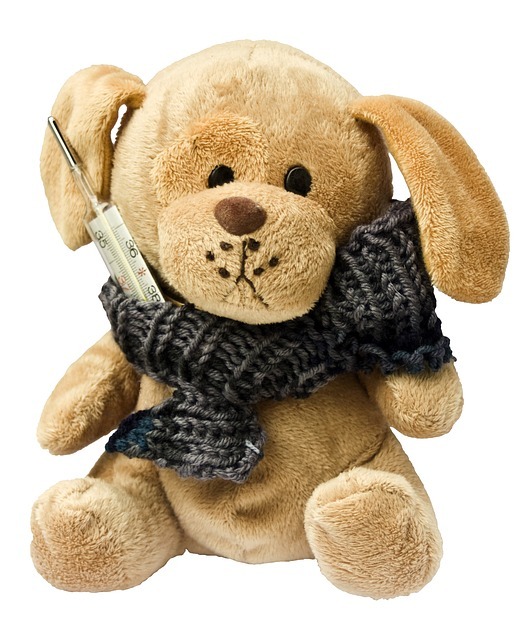 And these symptoms can be magnified even more if he happens to have a very high fever. Any and all plans go out the window until he gets past it. Sometimes this can be a day or two, while other times it can last much longer. It almost seems similar to having a relapse, however, it's not. When the white blood cells attack the infection, they also overreact and attack healthy nerves as well. 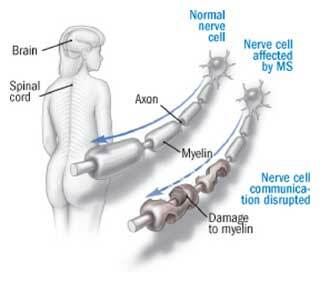 This then causes demyelination, which leads to the symptoms you have with this disease, MS. So, if you have any one of the other diseases, besides you have been dealt a pretty bad hand. Our heart goes out to anyone who has to deal with MS or any of the other diseases listed above, as well. These types of diseases, even though they're manageable for the most part, are definitely no fun to live with. Go from Nervous System Diseases back to What is MS.